We have unique and modern designs for our Rattan Range. You will easily feel the difference in our Stylish Quality Range which is guaranteed to suit any mood. All our Rattan Furniture is developed with High Quality Aluminium Frames weaved with Synthetic Rattan. 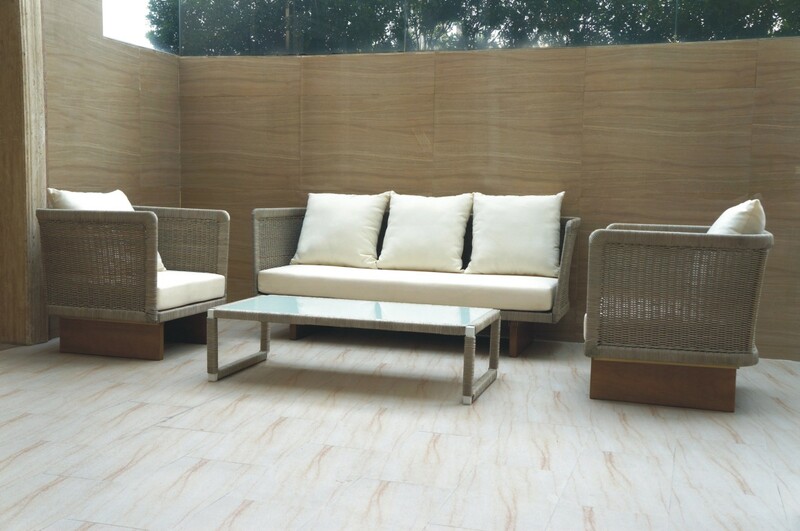 We use only high quality Viro and Rehau for our Rattan. Apart from our standard range we can also customize our products to suit your requirements. Our cushions are of high quality foam which can be customized with or without water proof lining. We only use good quality Fabric, choices can be made from Sunproof, Sunbrella & Textilene.